Vintage Santa Claus themed Christmas cards are some of my favorites, and I always love adding them to my store. 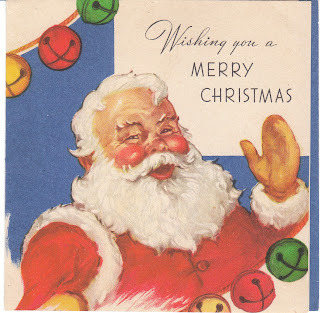 This jolly Santa has old fashioned, colorful jingle bells and so much vintage charm. I would date this as 1940's from the design.